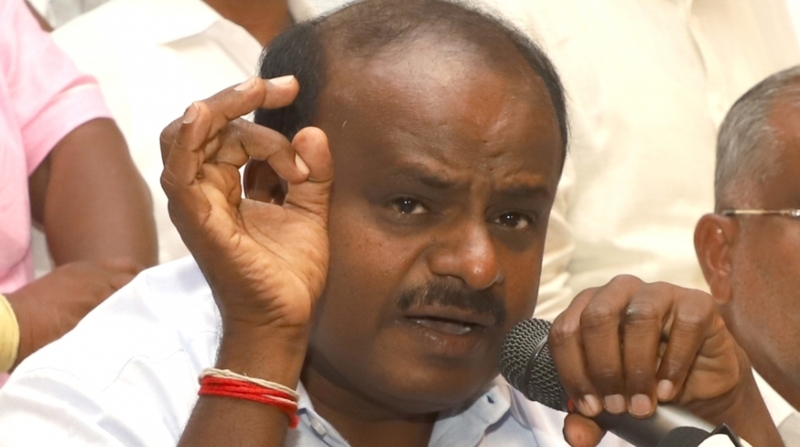 Chief minister H D Kumaraswamy loves controversy evidenced by the repeated “foot in the mouth” disease that he has been suffering from in recent days. The latest in the series even stoked the demand for a separate north Karnataka state by the agitated inhabitants when he chided farmers in Koppal who were seeking a better deal for their region. First, he scoffed at them by asking why they had not bothered to remember his party during elections instead of agitating now for more allocation to the region. He made it worse a few days later by defending the recent budget allocation for southern Karnataka, especially Bengaluru, adding that the IT capital was contributing a major portion of the revenue needed for running the state. He rubbed it in by asking even if north Karnataka were to become an independent state,where would its revenues come from? The argument appeared to be that north Karnataka won’t be able to even generate revenues for completing major projects in the region. But then this was his way of accepting, even if unwittingly, that the situation in north Karnataka was indeed pathetic, at least as far as development was concerned. Either way, his insensitive remarks and the comparatively poor allocation to the 13 districts of the region in this year’s budget fuelled the already growing demand for a separate state, demonstrated by the call for a bandh in the region on 2 August. Admittedly, the bandh, the call for which had intensified following the support extended by BJP MLAs Umesh Katti and Sriramulu, did seem to lose the required thrust once they withdrew their comments after a chiding from the party high command. Nevertheless, this did not hide the overall sentiment of neglect that the people of the region have been feeling for decades. In fact , even a few years ago Umesh Katti was in the forefront in demanding a separate state of north Karnataka with Belgavi as its capital. He had repeatedly emphasised that the state’s leaders and the Centre had been neglecting the region with all the benefits in terms of infrastructure, industries and allocations going to southern Karnataka. Predictably, he did not appear averse then to be considered as the chief minister of the new state, in the event it did come up. This year matters came to a head when the agitated people from the region argued that Kumaraswamy’s first budget as chief minister of a coalition government appeared to be extremely generous to southern parts of Karnataka, particularly the constituencies of old Mysuru where the JDS has a stronghold. Witness, therefore, their charge that the allocations ranged from a Disneyland to super speciality hospitals in the Vokkaligga dominated belts where the JDS has tremendous clout. This was not all. Even the near Rs 40,000 crore loan waiver, the agitated farmers of north Karnataka argued, appeared to benefit their counterparts in southern parts of the state more. North Karnataka, in contrast, incidentally, is a Lingayat dominated belt and in the 27-member Kumaraswamy ministry, only eight hail from this region. The cry of regional imbalance is not new, something that was evident by the government’s decision in 2000 to appoint a committee to study how best to address the critical issue, under the chairmanship of noted economist, the late D M Nanjundappa. North Karnataka, which comprises Bombay-Karnataka and Hyderabad-Karnataka regions, comprises some of the most arid and backward areas in the country, after Rajasthan. The region is also low on several economic and social parameters when compared with the rest of the state. Nevertheless, the Nanjundappa committee’s report was an eye opener as it revealed that 114 of the 170 odd taluks in the state were backward. These were further sub-divided as the most backward, more backward and backward taluks. The fact that as many as 59 taluks in north Karnataka came under these categories highlighted the seriousness of the problem. Further, the report pointed out that north Karnataka showed a per capita income below the state average of Rs 17,000. The position of Raichur district was even worse at Rs 10,000. In terms of employment too, the situation was appalling. While southern Karnataka boasted of 77 per cent employment, north Karnataka’s had only 22 per cent. Under the circumstances, the Nanjundappa panel had no hesitation in suggesting that the state government should allocate Rs 31,000 crore spread over eight years to reduce the disparity. This recommendation was not followed in letter and spirit though sporadic efforts were made, and has left leaders, politicians and the general public unhappy. Importantly, in 2012, the region got a major boost from the Central government when it extended special benefits to Hyderabad-Karnataka under Article 371(J), whereby special provision was made to allocate Rs 11,000 crore for the region’s development. In addition locals got priority over jobs in the region. 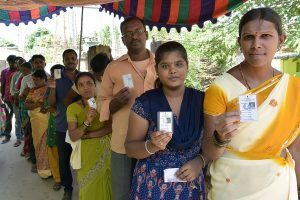 A special Hyderabad-Karnataka Region Development board was also set up to look after districts like Bidar, Ballari, Kalaburgi, Raichur, Yadir and Koppal which together account for 40 odd assembly constituencies out of the 224 in the state. Yet, despite this move there was hardly any major progress with malnutrition, drought and poor healthcare remaining the order of the day. An idea of the haphazard manner in which government funds were being managed came to light recently during a meeting convened by the chief minister. According to data available now, even though since 2013 about Rs 4,300 crore was provided for development of Hyderabad-Karnataka region after it got the special status under the Constitution, barely half that money was utilised. What is more, large number of infrastructure projects that were undertaken or sanctioned, remained on paper or as works in progress, to use official jargon. Clearly, as is evident, the HKRDB board does not have the capacity to execute development works. As a senior bureaucrat, Subodh Yadav, noted only 40 of the 89 sanctioned posts had been filled with only 50 odd per cent of the works getting completed. Accordingly his plea to strengthen the HKRDB board while giving the much needed strength to the implementing agencies. The encouraging development apart it must be remembered that successive governments have been playing politics over the sharing of the Mahadayi and Krishna rivers, the two crucial rivers of the region. These are sore points with the inhabitants who really are not bothered about the different tribunals that have been set up for solving the vexed issues. Critics point out that while the Krishna river’s potential has not been exploited fully, the controversy relating to the Mahadayi gets pronounced with politicians playing their games during election time. With the Lok Sabha elections set to be held in 2019, Kumaraswamy now realises the importance of moving fast. Especially as the region remains a stronghold of the BJP which got 45 assembly seats from here during the recent polls with the Congress a close second at 38. The JDS got a paltry six . Considering however that north Karnataka is not its bastion, the JDS need not really feel that concerned though any further neglect could help the BJP immensely as the region is known to largely support the party. Besides, the dominant population comprises the Lingayats who have a strong leaning towards the BJP. It was not surprising, therefore, to see the BJP pouncing on the opportunity when demands for a separate north Karnataka sprang up. Its state unit president, B S Yeddyurappa, lashed out at the coalition government for neglecting the region. He did not spare Kumaraswamy for his insensitive remarks while making it clear that the BJP frowned on the idea of dividing the state. The sudden change in the chief minister’s stance is also explained by the concerns shown by the Congress, the ruling coalition partner. It feels that Kumaraswamy’s irresponsible remarks could cost the party in the Lok Sabha elections. More so, as even senior party leader and former minister H K Patil had expressed concern at the allegedly poor allocation of resources to north Karnataka in this budget. It can be safely assumed that the coalition partner has done some tough talking to the chief minister. Having said that it must be remembered that Belgavi was mooted as the second capital during the coalition government of the JDS-BJP in 2006 headed by Kumaraswamy. He was also responsible for encouraging the building of the Suvarna Soudha in Belgavi where some assembly sessions are also held. It is another matter that the government’s promise of shifting some offices to the region remained on paper which explains why Kumaraswamy is now seeking to push the proposal once again, if only to make up for his gaffe. Equally important, the Suvarna Soudha on which nearly Rs 800 crore was spent remains a white elephant, used only for just about 15-20 days in a year . The reaction of the aggrieved north Karnataka farmers and politicians and the impending Lok Sabha elections, however, are now pushing the JDS-Congress combine to review and rethink its policies towards the neglected region. The coalition realises that unless some immediate steps are taken to put development on a fast track in the region, the demand for separation may become intense, the consequence of which may be politically crippling for the ruling combine, especially the Congress and the BJP will be the main beneficiary. The writer is The Statesman’s Bengaluru-based Special Representative.